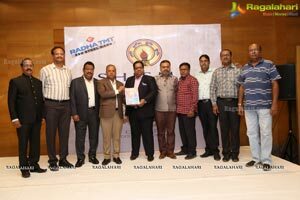 Hyderabad - 6th January, 2017- Secunderabad Hyderabad Iron and Steel Merchant Association the biggest STEEL merchant association of South India with 325 plus members is here announcing the grand celebrations of its Golden Jubilee Year on 7th January, 2017. The Association also unveiled its Souvenir at the Grand Gathering. 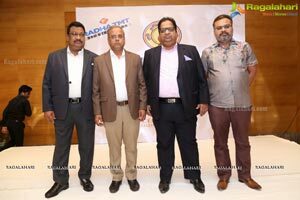 Secunderabad - Hyderabad Steel Merchant Association (SHISMA) was established in the year 1967, With the Support extended by its Members, The association has successfully completed 50 years of its esteemed association. SHISMA is also associated with other associations like FAPCCI and Others. 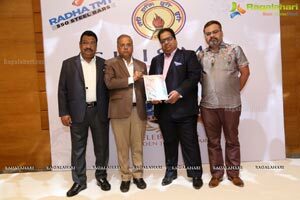 SHISMA has been felicitating and helping Steel Traders doing their business with ease. Speaking on the Occasion Mr. Subhash Agarwal-President SHISMA , Mr. Pavan Sonthalia-General Secretary SHISMA, Mr. Nitin Goyal-Joint Secretary SHISMA and Mr. Arun Bansal-Treasurer SHISMA said "We are delighted to celebrate 50 years of our association, during the course, we have been organizing various Programs for our esteemed members, we have been very active at SHISMA, we organize Various Sessions, Awareness Drives, we regularly conduct Seminars with Sales Tax Departments, Income Tax Departments, Central Excise Departments and organize AGM Meetings, and Celebrate our togetherness by organizing functions like Diwali, Dusshera, Etc. We also organize time to time update of modification of law and developments pertaining to business, trade, etc.. We have also helped our members transform from the SALES TAX to VAT Regime then from VAT to GST with the help of all the departments. The Members added that we also look forward to maintain physical & mental health of our members we also regularly organize Cricket tournaments and family get togther programs, we had also Organized Cricket Matches with Major Steel Producer SAIL. 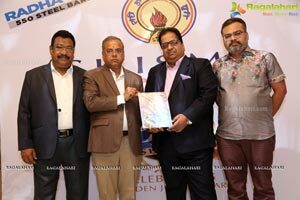 The Grand Celebrations of our Association is Lined up along with launch of A golden Jubilee Souvenir of 50th Year Celebration of our Association along with updated members directory on 7th January 2018.